James Starkes was one of our first guests to join us after we moved to our Gales School shelter in fall 2013. He had been employed as a contractor for the federal government and had two grown children and a young daughter, but he felt an emptiness that he tried to fill with ?things that brought only negativity.? Drinking, car and motorcycle accidents and a run-in with the law left him broken. ?I was looking at jail time and had a restraining order against me for my own home.? His older daughter told him that if he wanted to be involved with his family, he had to make some big changes. When he enrolled in Central Union Mission?s Spiritual Transformation Program (STP) he discovered ?I thought I was a Christian, but what I was lacking was a relationship with God. I found peace and learned how to pray, and prayers were answered.? During his STP classes he realized, ?You don?t have to be miserable. You can fill that void with a relationship with God and then work every day to be better.? After graduating from the STP in May 2014, James took the culinary job training at DC Central Kitchen, where he won the class cook-off and earned a MVP award from his 25 classmates. 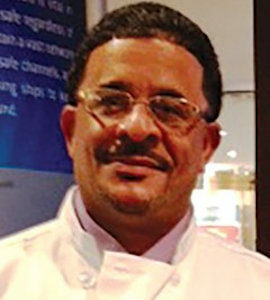 He returned to the Mission working part-time at Camp Bennett, relieving the staff by being the weekend cook and transporting the STP men in residence to church services at Sharp Street Memorial UMC in Sandy Spring, MD. He is now working for the Mission part-time at the Family Ministry Center and interviewing for full-time jobs. His charges were dropped last spring and the restrictions lifted. ?I found that obeying God makes its own rewards: I?ve regained respect from my older children, I participated in my daughter?s wedding and I?m part of my nine-year-old daughter?s life again by taking her to school every morning. A year later, my life is so different.? James is committed to staying on track: ?God didn?t make this big change in me just for me to go backwards,? he explains.